The scaffolding has come down and the new look of St. Vincent de Paul Society revealed. After years of planning and efforts to secure funding, we are thrilled to present a fresh contemporary and colorful face to the community. 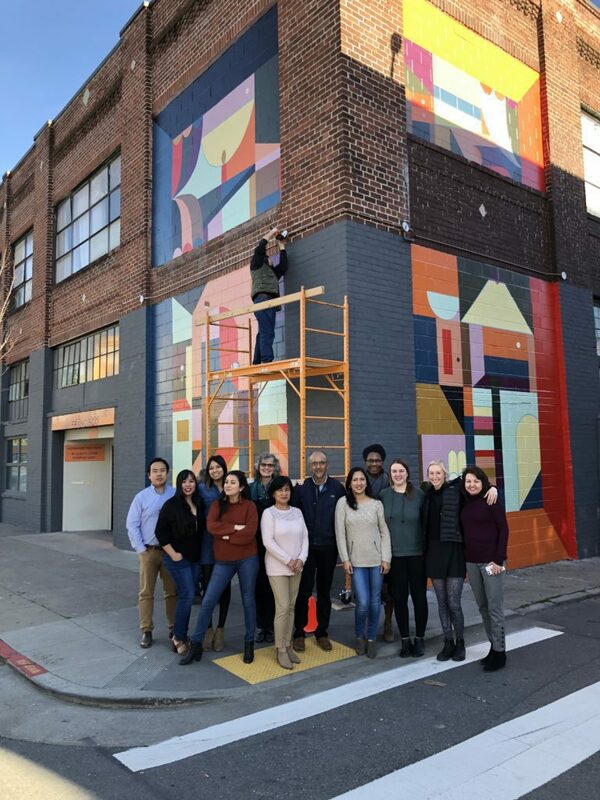 With support from the Museum of the African Diaspora, SVDP-SF partnered with 1AMSF* to upgrade our Community and Administrative Office located on Howard Street. The project included a neighborhood invitation to provide input into the themes and overall appearance of the building mural. California native artist Muzae from 1AMSF created the design and enlisted a team of artists to bring the artwork to fruition. The overarching theme is universal empathy through the recognition of all that we share together and have in common. The concept is depicted in the frame of four rooms viewed at different times of the day with the shared moon as the one constant that remains the same throughout. The external improvement is part of a major modernization of the hundred year old building owned by St. Vincent de Paul Society of San Francisco. The first phase included reconstruction of the upstairs, enabling us to co-locate administrative functions and eliminate costly lease payments. The second phase has resulted in a substantial renovation of the community outreach office of our Riley Center: Services for Survivors of Domestic Violence. The center offers a full range of adult, child and family residential, educational and therapeutic services, case management, housing and employment support, crisis line, drop-in consultation, and access to a wide variety of community resources. Beginning in January, a rich variety of workshops and forums are planned at the community office and information will be available through our website. 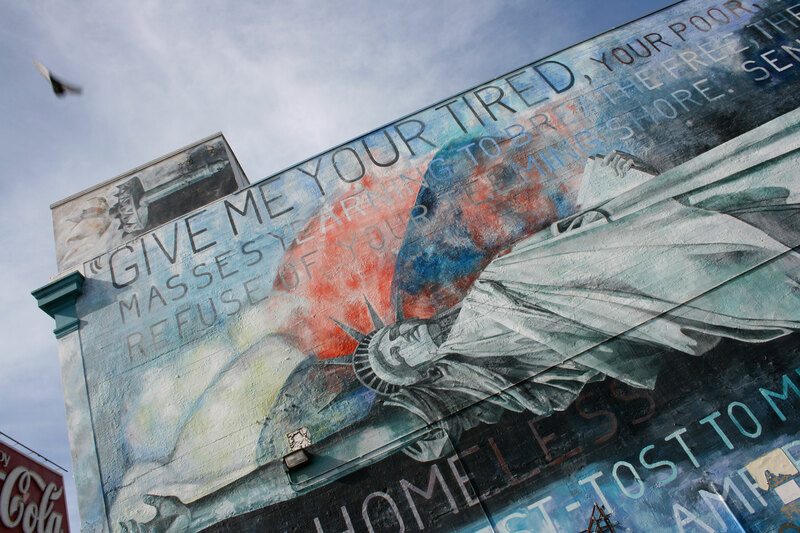 * 1AMSF, an abbreviation for First Amendment San Francisco, is a collective committed to preserving and supporting freedom of speech through the street art movement.